I love all my brides but this wedding was super special as it was my little sister who was getting married! So, of course, this was going to be one of the first weddings I wanted to share with you. Exciting update! 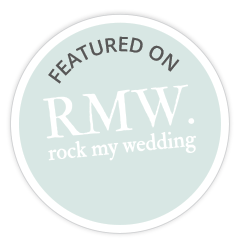 Rock My Wedding have featured the wedding on their blog. Click below to see the full article. Thank you so much for all you did to make mine and Sam's day so wonderful! I really appreciated my incredible hair & makeup ... Thank you, thank you, thank you!! [...] its so nice having the photos back to relive the day and in every photo I just think 'I love my hair!!' thank you so much! !